Fana Mini’s rise to stardom is a story of perseverance, sacrifice and humility, writes Ace Moloi. The year is 2013, and the location is Kovsies: another name for the University of the Free State. The campus is bright and lively. Students walk out of a lecture hall, and a new class walks in. A first-year couple is sitting with crossed legs on the lawn, imagining themselves co-running a household in the future. Beautiful naivety. But it’s all on God. A rugby player walks with the swag of a farmer boasting a bountiful harvest, and campus slay queens with high heels, fleek eyebrows and trendy handbags feel hormonally corrupted. It must be the Steinhoff 2cm shorts. The infinite dome within which we live is clear on the roof. Everything on the earthy floor is under the surveillance of the sun. In the air, the reigning scent is of a mysterious flavour. The aroma of a vacuum. He too is here among the pacing masses. He is here to fill this vacuum with his dreams. He’s been trying to get through, and eventually a mutual contact set him up to win. His name is Fana Mini, all he wants is a chance to be on radio, and today must be the day. In its blessed days, Kovsie FM was a school of excellence. If radio was your vision, the station was your mission. Accordingly, when Fana Mini’s radio dream couldn’t be deferred any longer, he deferred to its urgency and approached Kovsie FM. When he arrived at the Steve Biko Building, he was received by then station boss Nkokheli Lindazwe, popularly known as Nkox the Leader, who himself remembers this day just as vividly as Fana does. Nkox tells me he was impressed by Fana’s pitch, especially for a young man who had never been on air before. Even though there was no vacancy at the station, he was not going to let this potential go orphaned. For Fana these radio workshops meant proximity to his destiny—and if it’s dedication Nkox wanted to test out of him, he was rewarded with it and more. Fana was a curious student with a healthy attitude who never missed any workshop. It’s this determination that would win him a graveyard shift and later a daylight entertainment show which aired from 16:00 to 19:00 on Saturdays. Despite coming on only once a week, the show, which he co-hosted with Tshepiso Nkosi, managed to secure the second highest listenership rating at the station. One of the separating characteristics of Fana, according to his former manager, is how he pestered him for snoop sessions in his pursuit of improvement. The feedback from the listening sessions has permanent residency in Fana’s heart, and forever all his days he will treasure it. Five years later, the student and the master both host popular breakfast shows in the city. Fana Mini’s deep voice arouses Motheo FM listeners, and Nkox the Leader serves a cut of breakfast on CUT FM. If this is not a cute love story of teaching and learning, I don’t know! 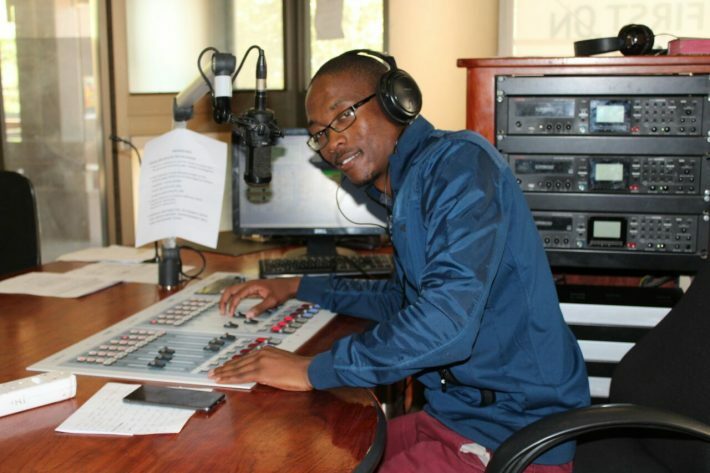 Towards the end of 2014, Fana Mini’s stint with Kovsie FM came to end, and he went to Gauteng for gold prospecting. There, he became a Microsoft Ambassador, going from store to store, user to user, to assist them with their Microsoft products. When he returned to the City of Roses, the area around which the radio bug had first bitten him was itchier than ever. 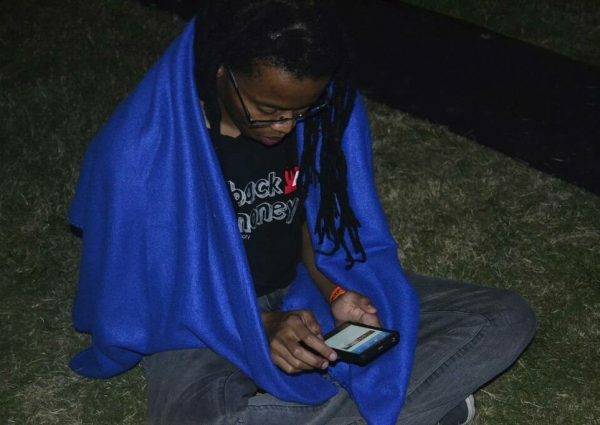 But by this time Kovsie FM was on an “ayisafani” mode. 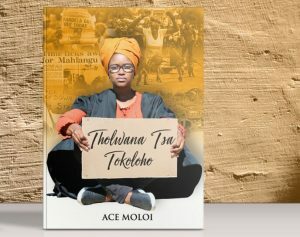 His eyes were now on Motheo FM, and he knew his comeback required a fight. Among many tactics, he requested his contacts to campaign for him at the station. This strong faith Aizet and others held for Fana moved mountains. In 2016, as soon as there was an opening, then head of programming Puso Kgosinkwe remembered this Fana Mini everyone was praising. Thus Fana was reunited with the microphone, though in a culturally new space. Motheo FM is not the “ultimate” youth platform as Kovsie FM thought of itself. 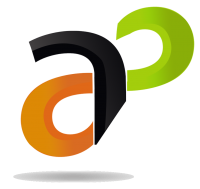 It has an older listenership, with its young audience not so urban. He was offered a Friday night hip-hop show – Street Rhymes – which he anchored with relative ease, combining his township roots with his past music station exposure. Very pleased with his decision, Puso deployed him to another show, The Urban Experience, on air Saturdays, 12:00 to 15:00, a slot which Fana credits for growing listenership for him and Motheo FM. In 2017 when entries for the National Community Radio Awards opened, Fana Mini submitted his material, and was nominated for all four categories he applied for: Best Male Presenter, Best Entertainment Drive Show, Best Music Show and Best Documentary Show. On Friday, 16 February 2018, the National Community Radio Awards were held at the Andre Huguenet Theatre, Bloemfontein. Fana Mini scooped three of his four nominations, obviously generating interest in his biography and portfolio. Born on 20 September 1991, Fana grew up in the Rocklands township of Bloemfontein. He began his basic education at Legae Primary School and wrapped it up at Tsoseletso High in 2009. 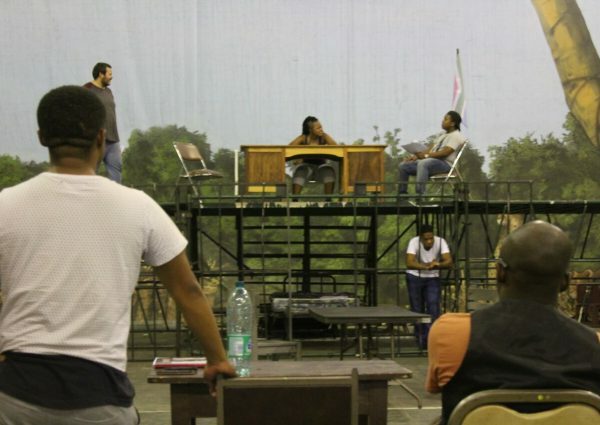 He is a theatre actor who has performed in prestigious platforms such as the Grahamstown Arts Festival. He is a certified financial advisor who is currently plying his trade at AVBOB, and sees himself at Metro FM in the tomorrows to come. Fana was the most famous award-winner at this year’s awards ceremony, much to the celebration – and speculation – of his industry peers. According to Nkox the Leader, Fana should consider it an achievement that people are talking about him in the first place. 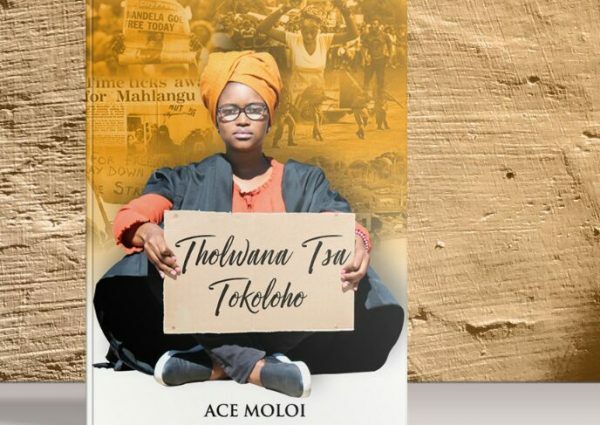 Ace Moloi is the Editor of ART STATE and author of three books: Holding My Breath, In Her Fall Rose a Nation, and Tholwana Tsa Tokoloho.